Arguments and cricket seem to go hand in hand. Even if you support the same team — or maybe, especially if you support the same team — there are always arguments when it comes to cricket. Of all fans though, fans of Indian cricket are probably the most rabid when it comes to expressing their views on everything cricket. More often than not, debates commence with, “Player-X got into the team because he knows Y”, “Player-X is useless”. Most of these arguments end with “There is too much money in the game. If they got less money, they would play more responsibly”. Unfortunately, some conversations end with “Player-X must be publicly whipped”! There was a certain lack of structure, logic, science or method to these arguments. One could argue for days on topics of no real significance: Vishwanath was any day a better player than Gavaskar! 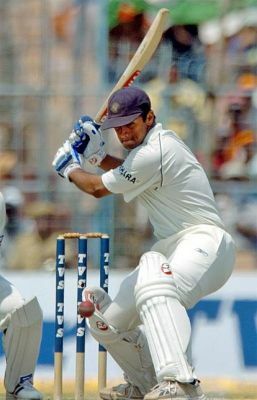 Manoj Prabhakar should never have played the number of Tests he played! Tamil Nadu Ranji players like TE Srinivasan, V. Sivaramakrishnan and VV Kumar were constantly discriminated by the Bombay mafia! Ramnarayan was a better off-spinner than Venkatraghavan! Sadanand Vishwanath was the best ‘keeper in India ever! Now how can one have a comeback to an assertion like that? We just cannot. However, things have changed. Data is available today. Plenty of it. Yes, today, most arguments involve the production of seemingly random extracts from Cricinfo’s Stats Guru. In that sense, I do believe that StatsGuru is to Cricinfo what the Y2K was to the IT industry! The scaremongering around Y2K created a slew of IT jobs, where there were really none! Similarly StatsGuru generates site visits when there really ought to be few! Don’t get me wrong! I am a great fan of StatsGuru and it is a terrific product. However, I must say that I am getting a bit tired of seeing these frequent delves into StatsGuru by arguing Indian cricket fans that produce a set of numbers about a players’ worth without the presence of an established and agreed hypothesis or methodology! Watch this utterly hilarious scene here! There is a certain innocence and romance to such arguments. Instead, StatsGuru has ruined arguments of this sort by Indian cricket fans who dive in to the (no doubt, wonderful) database on the mere assumption that a set of numbers can suddenly back any argument! The numbers are produced with neither a hypothesis or an agreed methodology. Arguments can, therefore, be easily carried on whether “Harbhajan Singh is completely useless” or “Harbhajan Singh is just as useful as Graeme Swann who, by virtue of his world ranking, is not useless, so Harbhajan Singh is not useless” or “R. Ashwin is the next best alternative to Harbhajan Singh and his performance after the first 25 Ranji games in his career is just as bad as Harbhajan Singh’s performance as a Test player in the last year and so Harbhajan Singh is very capable after all”. StatsGuru has killed assertions. While that is somewhat sad, what has really happened is that StatsGuru has given most proponents a somewhat unnatural belief that their arguments are somehow based on science and logic! A young lads mother’s older brother, who does not have access to the Internet, can no longer argue with his young nephew! The nephew has all the numbers from StatsGuru on his mobile device that is 3G-connected to the Internet, even though he may not have the model formalism or the hypothesis or the logic, or, more importantly, “the vibe”! Sigh! Bring back the hand flaps! Bring back “the vibe” into arguments!